Jeannette Archer-Simons, Executive Director of Norwalk’s Open Door Shelter, announced the ground ground on the Smilow SoNo Life Center, a 19,000 square-foot facility at 2 Merritt Place that will provide medical, mental health, outpatient addiction treatment and job training services, as well as 16 units of supportive housing apartments for people in need. 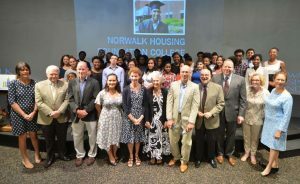 In March, the center received a $1.7 million grant for the project from the Connecticut Department of Housing, bringing the total raised at the time to $4 million. The total project is estimated to cost $6.1 million. 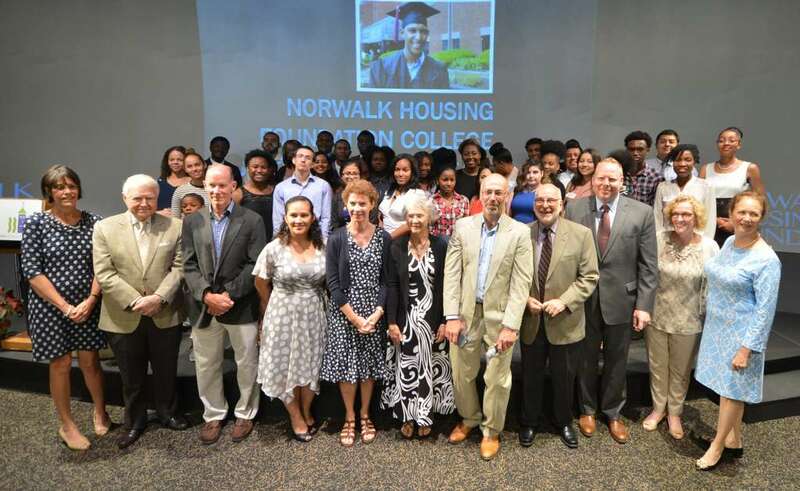 The additional $2 million the shelter hopes to raise in the capital campaign which kicked off Tuesday night will be used for additional supportive housing in the area. Last week the shelter received the largest donation to the project from philanthropist Joel Smilow. Though the timeline for the project wasn’t moved up as a result of the donation, it will help in completing the project by September 2017.